fall corn maze and a u-pick pumpkin patch. Homeade Ice cream, fruits, vegetables, maple syrup, Christmas trees,ground beef. Open daily 12:00 noon to 9PM, mid-June to Labor Day. Reduced hours May, Sept and Oct. Also at the Wayne County Farmer’s Market. Fall: Corn maze and pumpkin patch. We sell cornstalks, Indian corn, gourds, pumpkins, fall vegetables, ice cream and snacks. 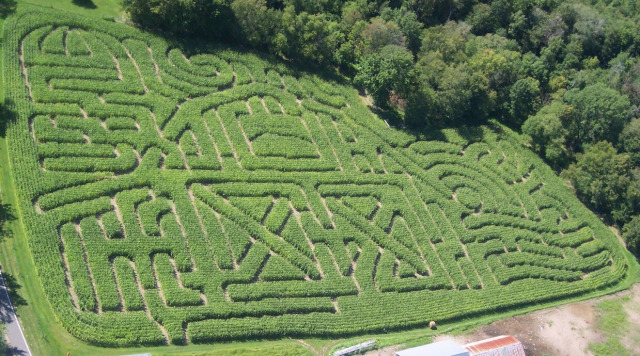 Corn maze and pumpkin patch in the fall, fun for all ages.